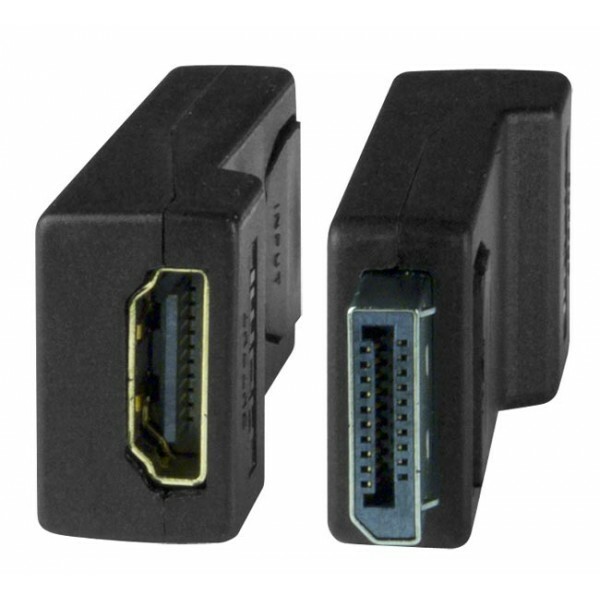 Female HDMI Type A to male DisplayPort connectors. 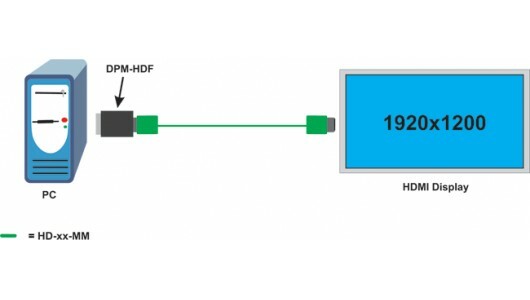 Connect an HDMI video display to a DisplayPort video source. Connector is directional and only supports DisplayPort source out to HDMI video display.